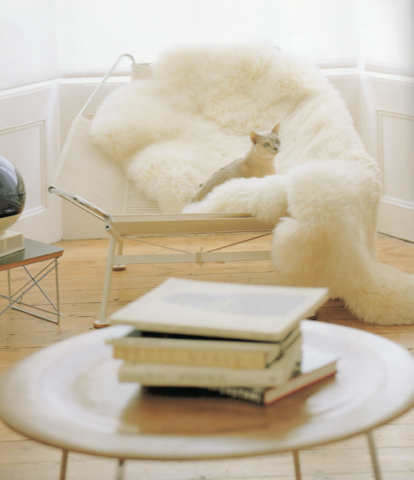 Well it’s getting chilly out there and there’s nothing more cozy than Hans Wegner chairs and sheep skin throws! 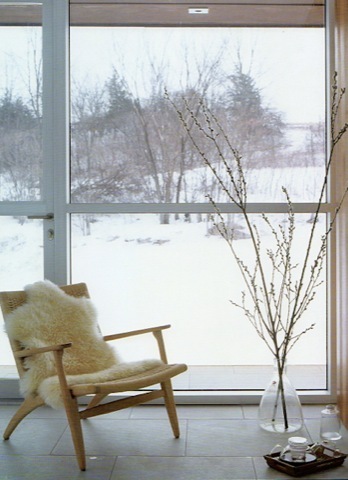 Unfortunately we don’t really have any Hans Wegner furniture, so these nice images will have to suffice. 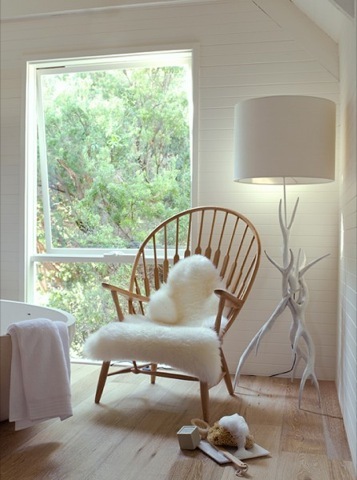 The Y chair, or more commonly known as the “Wishbone” chair, designed in 1950. We were lucky enough to pick up a pair of vintage Y chairs for only 200 each, now we just need to find 4 more! 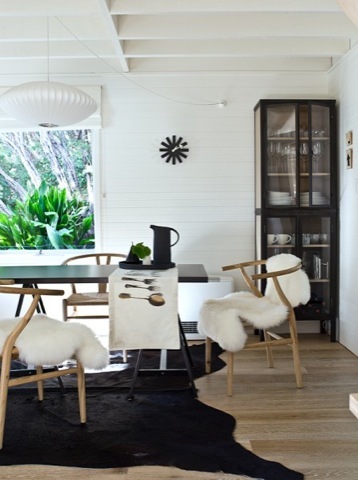 These 2 above images come from stylist Deborah Mclean, it looks like the perfect cozy cottage. Beautiful Wegner folding chair, designed in 1949.